Of course, this list is quite subjective. If you know another worthy pottery blog, leave a link in the comments. Every month we review the best in pottery blogging with the Clay Blog Review. All the blogs from the master blog list are scanned, evaluated and assembled into a monthly rundown. At the end of the year I counted how many times each blog was mentioned and ranked them in order. Let’s take a look at which blogs made the list! The 15 Top Pottery Blogs! In reverse order. Thanks for reading! Kim consistently shares what she is working on and often the work when it is finished. Rachel posts a lot of her work in progress and plenty of other interesting information. As you can see in the image above, her blog was a top blog last year too! John Britt and other authors share lots of tips and information and talk about the community of potters in North Carolina. Michèle tells of her and Jeff’s work and other adventures as potters. Cfile by Garth Clark and others includes more of the academic/gallery/sculpture side of ceramics, architecture and design. Ben is one of the leaders of the pottery podcast movement. He interviews creative individuals all over the world! Carter is the philosopher of the pottery blog world. He constantly produces thought provoking essays about pottery, art and creativity. Barb writes more of a personal journal type of blog covering much of her pottery and some tips for working with clay. The National Council on Education for the Ceramic Arts. Conference content, podcasts and more! Carole has a must-read site if you are involved with pottery. You’ll find featured artists, technical info, call for entries and much more. Linda posts mostly about her work in progress or finished pieces but also includes some great tips and other non-pottery related stuff. Paul is another leader in the pottery podcast community. 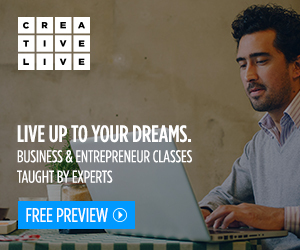 He cranks them out and also offers webinars and paid services to help you grow your pottery business. The bronze medal goes to Tony who is one of the best story tellers in blogging. He mixes wit and technical knowledge with his personal experiences to make reading his blog highly enjoyable. The runner up! Gary uses his blog as a journal and includes plenty of his pottery, wacky dreams and adventures in dog care. The returning champ does it again! Gary keeps his blog humming along with plenty of images of his pots, a lot of work in progress and some helpful hints about how he gets those awesome stamped textures. Not to mention at least one sunrise photo for almost every day of the year! These blogs are also really great! They averaged at least a mention-and-a-half per Clay Blog Review or are noteworthy in some other way. Feel free to alter these images in any way you see fit before using them. Why make this list? Well, there are a few reasons. First, it’s fun! Second, I really appreciate all the hard work that goes into blogging. I have learned so much by reading other potter’s blogs and I hope this list helps their audience grow. So go read, subscribe and leave comments on some of these blogs! Last, this kind of post (a top 15 list/best of the year) is a great way to gain new visitors to this blog. It is the kind of content that people share on social media and other places. People want to read to see if their favorite blog made the list or discover new blogs to read. Are you looking to get more readers to your blog? Wait, do you have a blog?! Start Your Own Pottery Blog! You can be part of the pottery blog community! Do you think you can make this list next year? 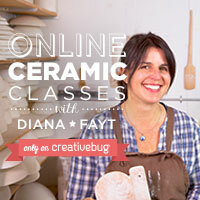 Check out the new series about planning, creating and growing a pottery blog! Or maybe you already have your own blog and you want to make it better. In the next few months we will look at planning, creating, and promoting your blog. Are you already an expert blogger? Maybe you can be part of the conversation and share some tips! We would love to hear from you. Hey, if you like reading pottery blogs or about making pottery then you may want to get yourself on the Pottery Making Email List. I send out a newsletter almost every month. There might also be some early access to certain things or special offers in the future. You can see the top blogs of previous years here: 2010, 2011, 2012, 2013, 2014.
thanks ever so much for including my blog; I’ve learned so much from pottery blogs and am hoping to give back to all those so willing to share their knowledge with all of us potters out here. I made the top 15! Thank you for including me. I appreciate the work you put in to promoting pottery bloggers. It has been a great resource for me to find new blogs to add to my own reading list. May 2016 be happy, healthy, and prosperous year for you and yours. Thanks so much for including me on the Honorable Mention List! I’ve only had my blog up and running for a year now, so it’s humbling to be included. Thanks and Happy New Year! Thanks for all the people you send my way. Fun to be a part of the community. Cheers! Thanks for the honorable mention, I appreciate it and I appreciate all the work you do. Very nice pottery blog for artistic people.